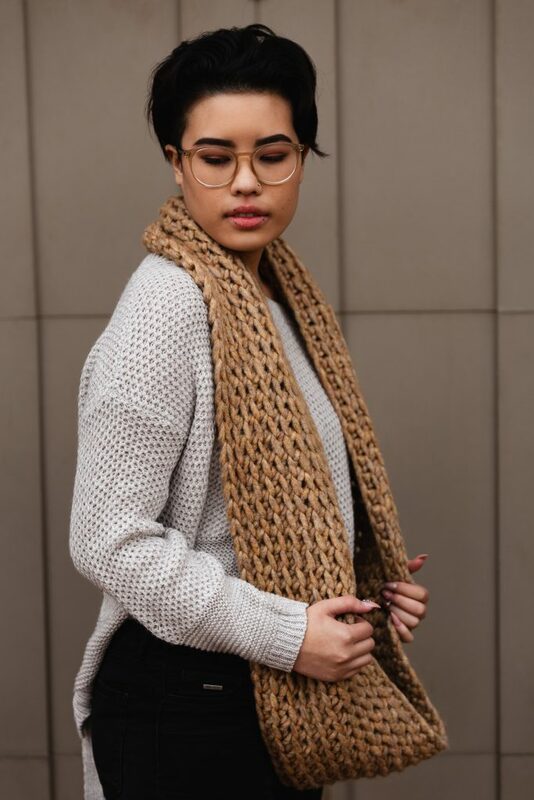 Basic stitches and a unique yarn come together to make the Toasted Marshmallow Infinity, a loop scarf pattern you’ll reach for time and time again. I love designing fun wearables, but every now and then I like to return to basics and make something simple and easy. The Toasted Marshmallow Infinity was inspired by the new Cuddle Me Softly yarn from Wool and the Gang, currently available at select JOANN stores and on JOANN.com. 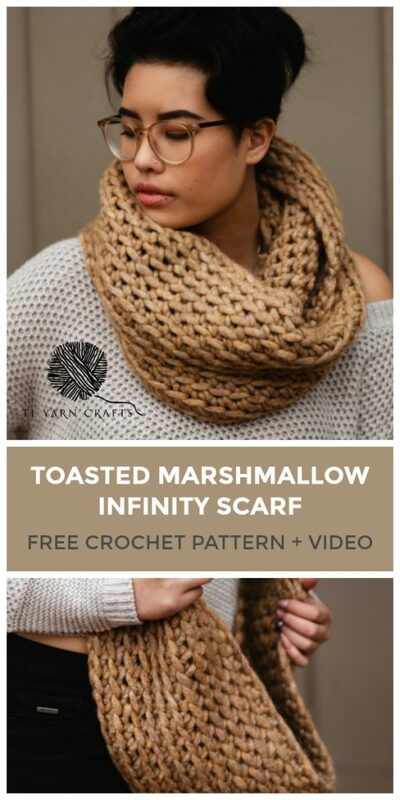 Keep scrolling for the FREE version of the Toasted Marshmallow Infinity, or find a printer-friendly PDF version on Ravelry and TLYarnCrafts.com. PDF version includes full-color, 4-page instructions, photo supplement, and step-by-step video. 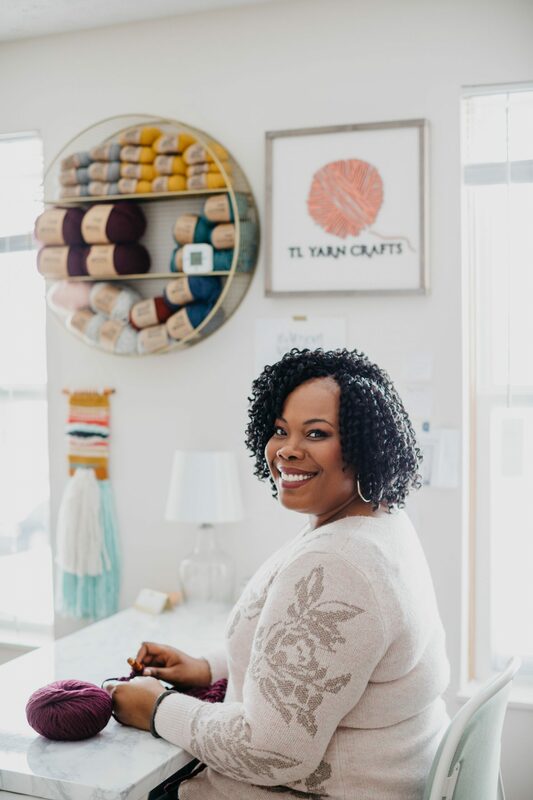 My crochet design career started when I first decided to sell my items at craft fairs. 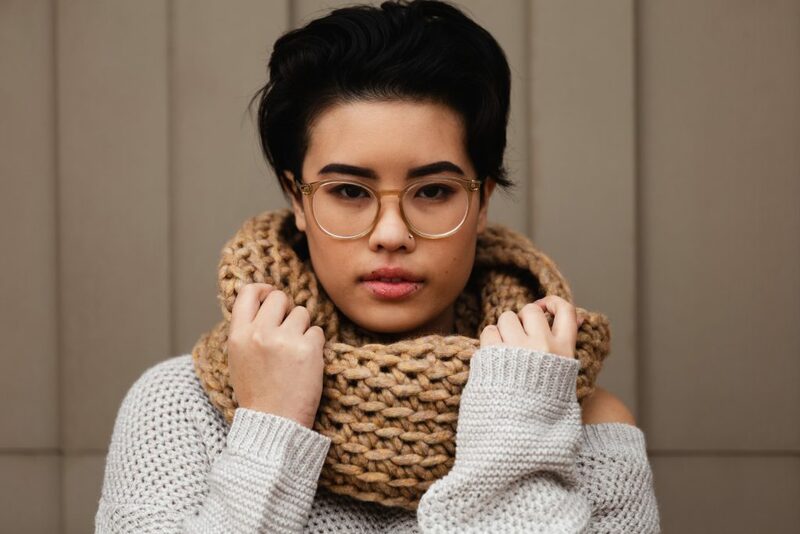 First came the Mega Pom Beanie, my signature hat pattern, and I followed that up with a series of simple scarves like the Level 4 Infinity and the Holey Cowl. My design library has become a bit more advanced, but I still yearn to go back to the basics every now and then. 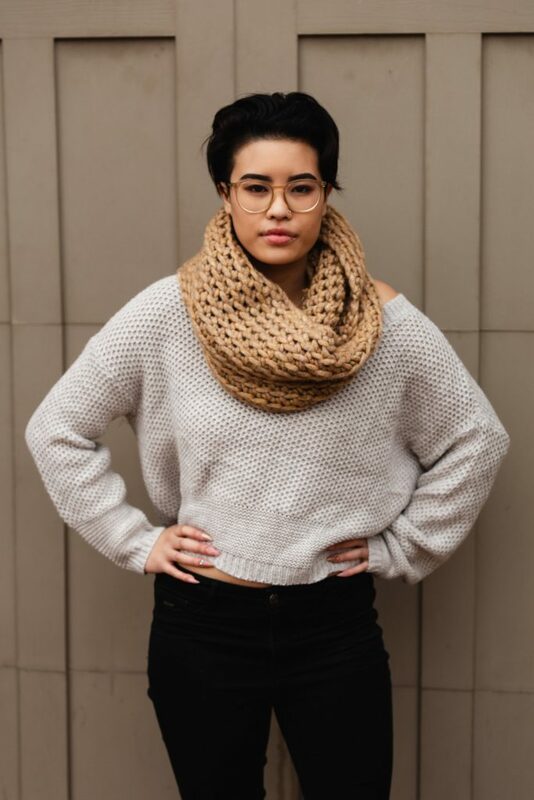 I had an idea to make a beginner-friendly infinity scarf that really highlighted some of the chunky and unique yarns available in the winter time. The Toasted Marshmallow Infinity was the result and I couldn’t be happier! 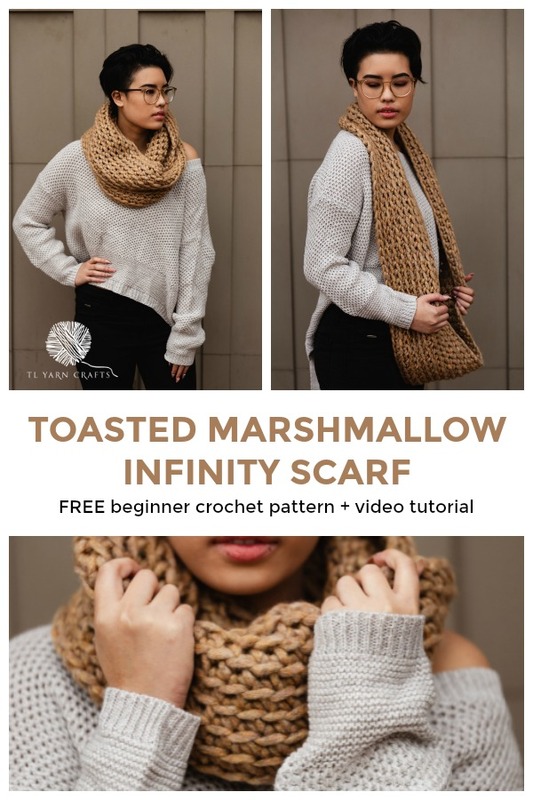 The Toasted Marshmallow Infinity is made using a small variation on the single crochet stitch. Instead of working in both loops of the stitch, I work in the back loop only. When worked in the round, this technique produces an eye-catching texture without making the pattern more complicated. 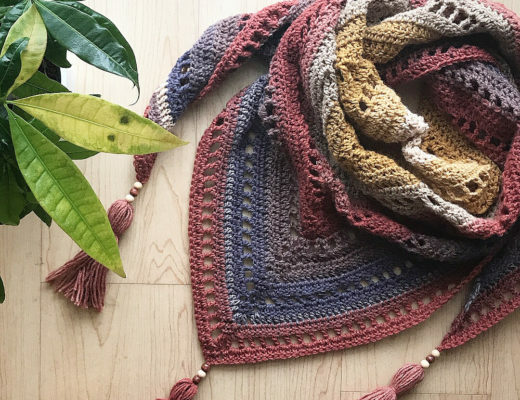 There are dozens of lovely super bulky yarns on the market right now, but I was drawn to the Cuddle Me Softly yarn from Wool and the Gang that is currently available at select JOANN stores. It’s an acrylic blend that’s unlike anything I’ve seen in big box yarn stores. It comes in lots of pretty colors and I went with 2 skeins of Biscotti Beige to make the Toasted Marshmallow Infinity. 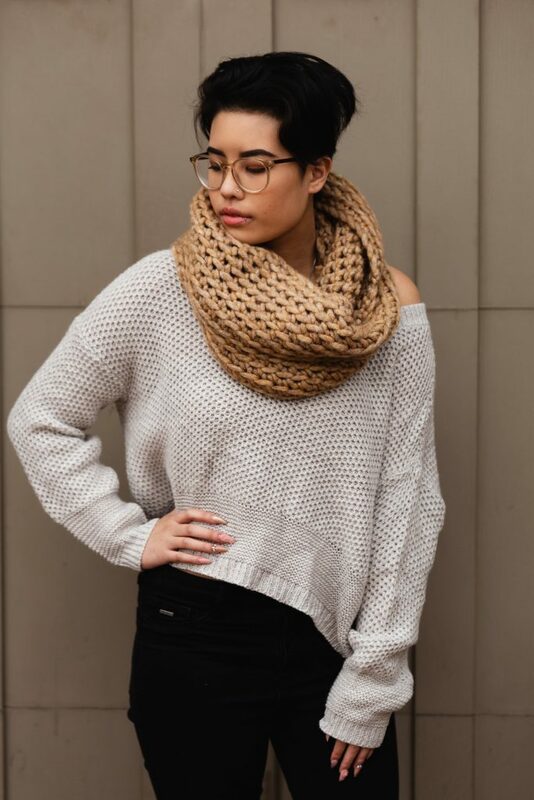 If you can’t find Cuddle Me Softly in your yarn store, go for another hefty super bulky weight yarn. I’d suggest trying Lion Brand Wool Ease Thick & Quick or Hometown USA. 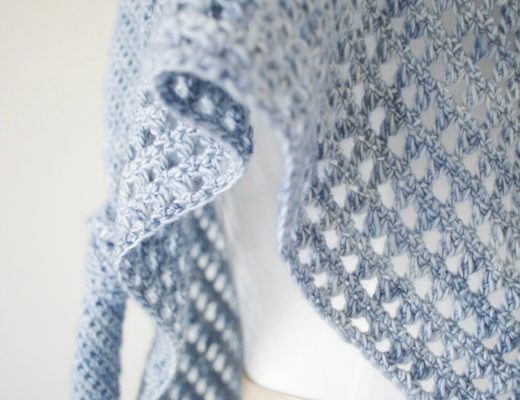 You could also hold two strands of bulky weight yarn together to get the same effect. If I made another Toasted Marshmallow Infinity, I’d try holding two different color strands of Patons Classic Wool Roving together for a marled effect. Round 1: Leaving a 5″ tail, sc 82. Without twisting the foundation, sl st in the first st to join in the round. Round 2: DO NOT TURN. Sc BLO in same st as join and each st around. Round 3: Sc2tog in sl st and back loop of next st. Sc BLO in each st around. Rounds 4-11: Sc BLO in each st around. End Round 11 when the last st is parallel to the first st of Round 1. At the end of Round 11, sl st BLO in the next st.
Cut yarn. 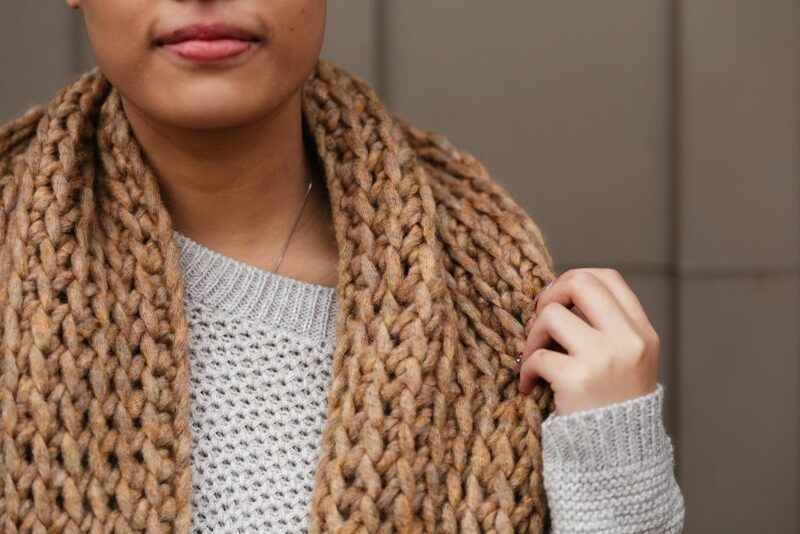 Weave in all ends. See Video Tutorial for my preferred finishing techniques. 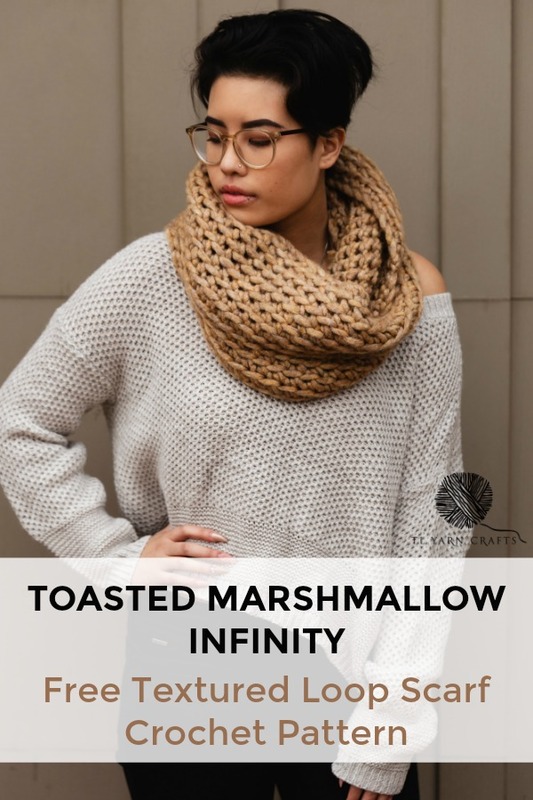 Share your Toasted Marshmallow Infinity with me on Instagram using the hashtag #TLYCMakers for a chance to be reposted. 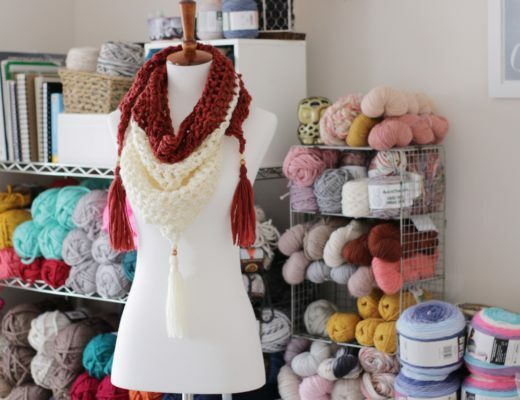 And be sure to join the TLYCMakers group on Facebook – we’d love to see your scarf there too! CLICK HERE TO SHARE THIS PROJECT ON PINTEREST!